We store our personal details and sensitive data on our computers. Hence we need to think about the security of them. As you already know we cant secure our data for sure. Previously we discussed about how to grant access in to a locked computer easily. So it is time to think twice about the security of our sensitive data. Even if you are using a locked windows computer which has several accounts for your family members, you are risking your files on external drives and local disks. This can be avoid by using a proper folder lock software. In this article we are going to discuss about several Free Folder Lock Software For Windows 7, XP and Vista. There are many good folder lock software in the market right now. But the problem is they are not free. So here in this post I’m going to mention only Free Folder Lock Software For Windows. There should be great tools that do the same thing for a price. A main drawback of Folder Lock software is users can see the files even if they are locked at the moment. Password Folder comes without this issue. 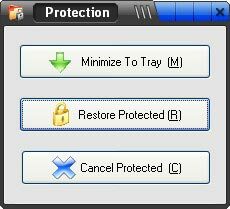 You can lock files by draining and dropping or simply selecting the option in the context menu. After you locked the files other users can not see those files. There is one other feature in this software. You can block reading and/or writing access of a particular file or folder. It makes protected files can’t be read, copied, moved, deleted or modified. Also you can have a exclude list of files too. The size of the software is 5.2 MB and very easy to use. This is another good way to protect your sensitive data. This uses a encryption method to protect your data from authorized access, copying or deletion. Once Folder Protection installed, a “lockdir.exe” file will be added to your folders. Double click on that to run the program. You can use this software for prevent any unauthorized access to any folder or any file on your Windows 7, Vista or XP computer. You just need to drag and drop any kind of files such as documents, videos, images to the main window of this software. It will be password protected as soon as you drop in to the window. This is a complete free software that gives you the facilities like paid software does. Folder Lock Free has a simple and very understandable user interface. So you don’t need any kind of special skill for get this running. The size of the software is only 4.7 MB. Do you think you only have private and sensitive data only on your folders ? What about your internet history. One can simply judge you by looking at your browsing history. You can use Free Window Sweeper to get rid of this situation. 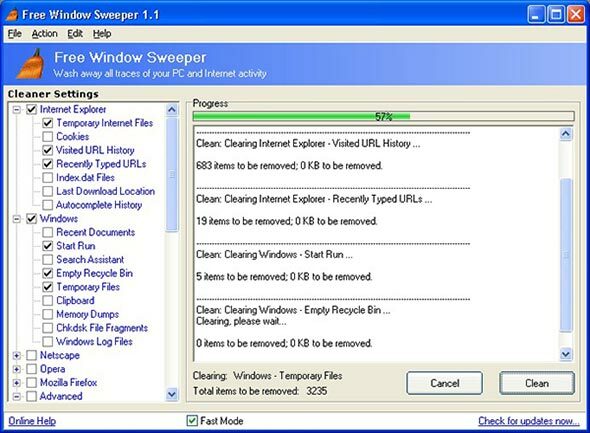 This software enables you to delete cookies, temporary files, recent document lists by a single click. This supports many removable elements in popular browsers as well as windows applications. You can actually put a password on any folder with Folder Password Expert. I have used this software program since 2011. I really do not know why it wasn’t mentioned in the post because it is probably one of the most well known software programs of its category. All lock/hidding software that do not encrupt your files are useless and non-reliable security wise. If the computer is started in DOS mode or if your hard disk got removed from your pc and attached to another pc through USB then all your “locked folders” would appear ! !